Yay! It’s my first clickbait-y headline! 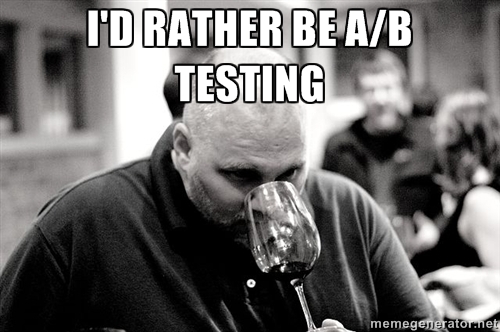 I preach, or at least will be preaching, the gospel of testing everything. 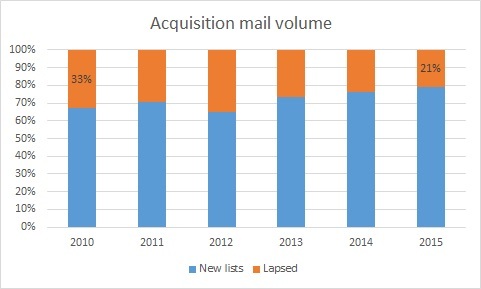 There have been times that it has been a rough year for the mail schedule, but then we get to a part of the year we tested into last year, so I know that the projections are going to be pretty good and our tweaks are going to work. It is those times that there are but one set of footprints on the beach, for it is the testing that is carrying me. So I eventually had to test out one of these headlines — my apologies in advance if it works. The truth is that there are no such charts that run across all organizations. There are general topics that you need to cover with your boss – file health in gross numbers, file health by lifecycle segment, in-year performance, long-term projections, how your investments are performing. But what you need to do is tell your story. You need to analyze all of the data, make your call, and present all of the evidence that makes your case and all of the evidence that opposes it. This sounds simple, but how often do you see presentations that feature slides that educate to no end – slides that repeat and repeat but come to no point. Also, they are repetitive and recapitulate what has already been said. Yes, really. The human brain craves narrative and will put a story to about anything that comes in front of it. It also retains images better than anything else. There’s a semi-famous experiment where they gave noted oenologists (French for “wine snobs”)* white wine with red food coloring. The experts used all of the words that one uses to describe red wine, without ever noting that it was actually a white wine. When confronted with this, the so-called wine experts all resigned their posts and took up the study of nonprofit direct marketing to do something useful with their lives. So, as I’ve been writing a lot of defective pictures and I promised the seven direct marketing charts your boss must see today, let’s discuss a story that you would want to tell and how you would present it. 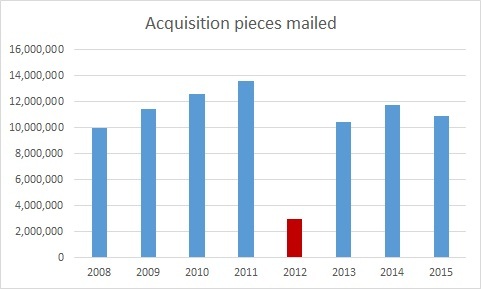 The idiot I replaced the idiot that I replaced cut acquisition mailings in 2012. 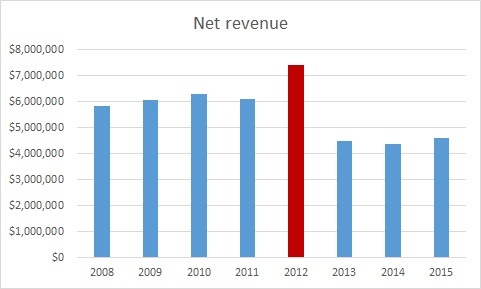 It spiked net revenue for a time, enough for him to find another job. But that has really screwed us out of multiyear donors coming into 2015. 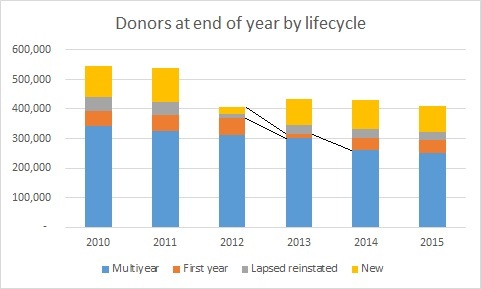 You can see the big drop in multiyear donors in 2014 because they weren’t acquired two years earlier. And multiyear donors are our best donors. You’ll also note that our lapsed reacquired donors have greater yearly value than newly acquired with about the same retention rate. Thus, my first strategic priority to focus more in reacquiring lapsed donors. Not as good as the multiyear donor that idiot made sure we didn’t have coming into the file this year, but pretty darn good. …yet they have been cheaper to acquire. In summary, they are better donors than newly acquired donors and they are cheaper to acquire, yet we’ve been reaching out to them less. Thus, we have an opportunity here. Because of this insight and because my salary significantly lags the national average for a direct marketing manager of $67,675, I believe I deserve a raise. I’m now open for questions. I swear that in many presentations, this would be over 30 slides and over an hour long. I’ve actually given some of those presentations and if someone was in one of those and is still reading this, I apologize. Note the use of color to draw attention to the areas that are important to you. Other data are there to provide background, but if you are giving the presentation, it is incumbent upon you to guide the mind of your audience. 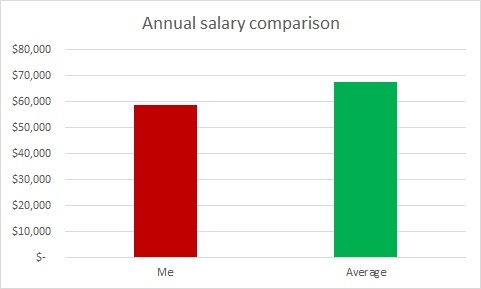 In fact, if you are giving the presentation, you may wish to present the chart/graph/data normally, then have the important colors jump out (or the less important ones fade away), arrows fly in, and text appear. As mentioned, this is a different structure of presentation that would normally occur. Normally, there would be a section on file health, then one on revenues, one on strategic priorities, and so on. However, when you structure like that, the slide that makes the point of why you are doing the strategic priorities you are doing may be 50 slides early. You can say, “remember the slide that said X?” but regardless of what the answer is, the answer is really is no. You are smarter than that. You are going to use data to support narrative, not mangle your story to fit an artificial order of data. There is one point per image (with the exception of #4, which had a nice segue opportunity) and no bullet points. Bullet points help in Web reading (hence my using them here), but they actually hurt memory and retention in presentations. With this persuasive power, though, comes persuasive responsibility. Not in the sense that your PowerPoint will soon have you enough dedicated followers to form your own doomsday cult, although if that opportunity arises, please take the high road. What I mean is as you get better and better at distilling your point, there will be a temptation to take shortcuts and to tilt the presentation so it favors your viewpoint beyond what is warranted. Part of this is ethical, to be sure – don’t be that type of person – but a larger part is that no one person is smarter than everyone else summed together. Even readers of this blog. If you omit or gloss over important data points, you aren’t allowing honest disagreement and insights among your audience that can come to greater understanding. By creating an army of ill-informed meat puppets, you are going it alone trusting on your knowledge and skill alone to get you through. There will be a day and that day may be soon when the insight you will need will be in someone else’s head. You do have to prioritize for your audience. 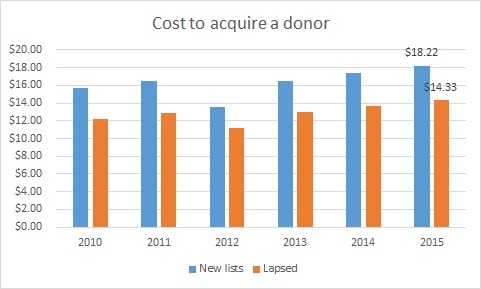 You may have noticed some other points you would have covered in these graphs – retention in this program is falling and cost to acquire donors is increasing. This person chose to focus on lapsed but didn’t hide the other metrics, which is sound policy. So we will cap off the week tomorrow with tricks that other people use to shade their data. I debated doing this section because it could be equally used as a guide to shade your data. But you are trusting me and I’m trusting you. Knowledge is not good or bad in and of itself, but let’s all try to use it for good.